Thomas Jefferson often carried blacksmith and carpenter tools with him and was even know to make locks and keys himself. 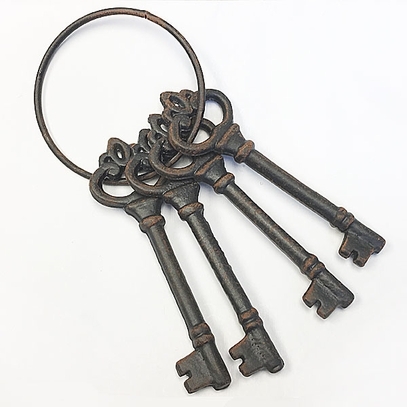 These metal antique keys with ring are sure to add decorative interest wherever you choose to place them. 8 ��l x 4� diameter.